Indigo Shibori Weekend Workshop – Working shibori with indigo and some indigo discharge techniques – also their 3 dimensional equivalents. Summer School – Indigo in combination with a selection of other dyes including minleral, natural – depending on local yield, and fibre reactive. Also learn de-gumming and discharge techniques. 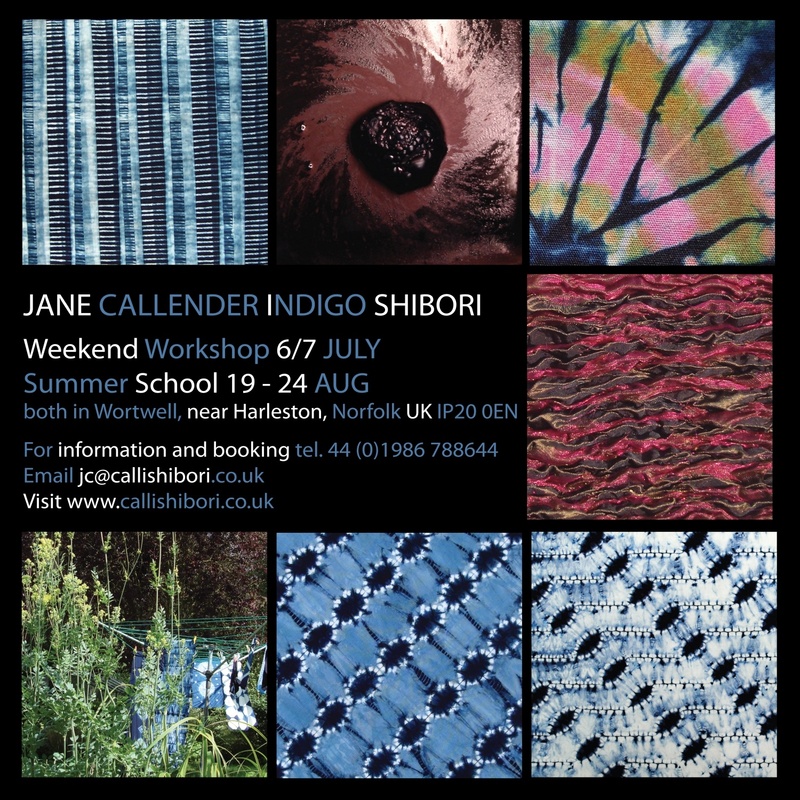 Or go to her website – http://www.callishibori.co.uk – Shibori at your fingertips! This entry was posted on 6 June 2013 by World Shibori Network and tagged indigo, Jane Callender, natural dye, Norfolk, shibori, summer, UK, workshops.